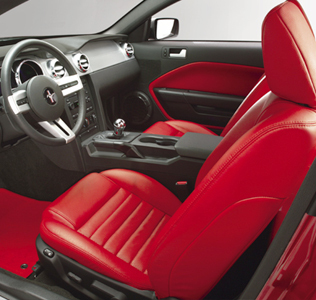 Preserve leather seats for years to come with regular cleaning and conditioning. Leather care starts with a non-drying leather cleaner that removes impurities. Then follow up with a rich leather conditioner to lock in essential moisture, keeping the leather soft and inviting. Leather Master Car Interior Leather Vital 250 ml. Leather Master Car Interior Leather Protection Cream 250 ml. Leather Master Car Interior Ink Lifter 25 ml. Leather Master Leather Barrier 250 ml. Leather Master Car Interior Odor Remover 200 ml. Rupes Leather Fast Cleaner 500 ml. Sonus Leather Cleaner 8 oz. Sonus Leather Conditioner 8 oz.